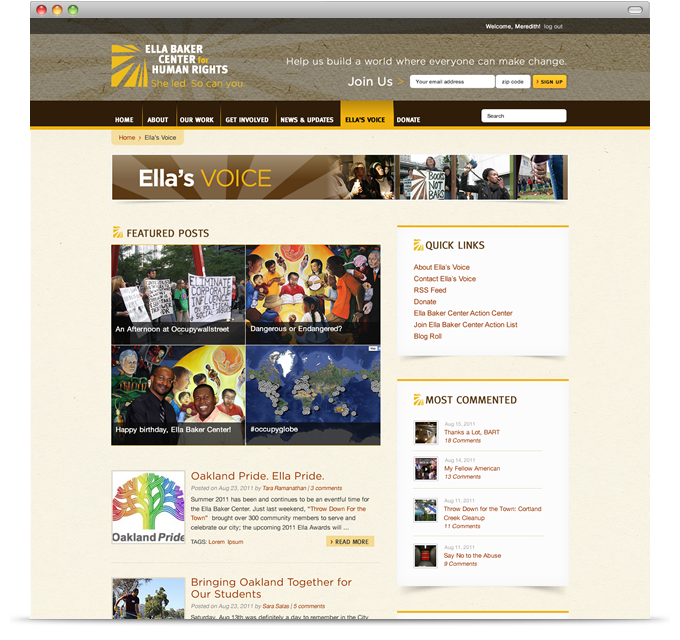 Ella Baker Center is an Oakland, CA grassroots organization focused on social justice, green jobs, community building events and youth empowerment. 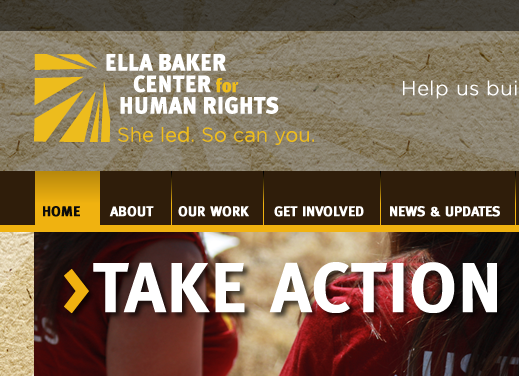 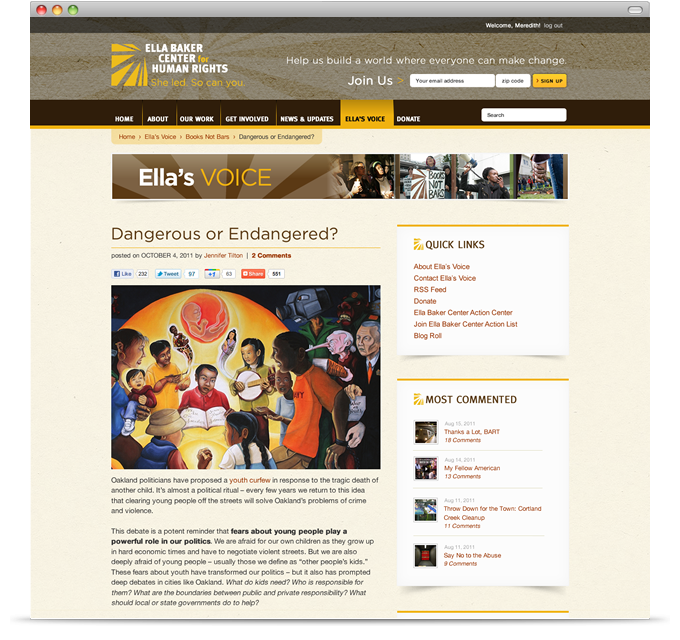 I worked with Ella Baker Center for Human Rights to redesign their site to better highlight their campaign work, as well as provide a more cohesive look & feel throughout the site that was lacking in their previous site. 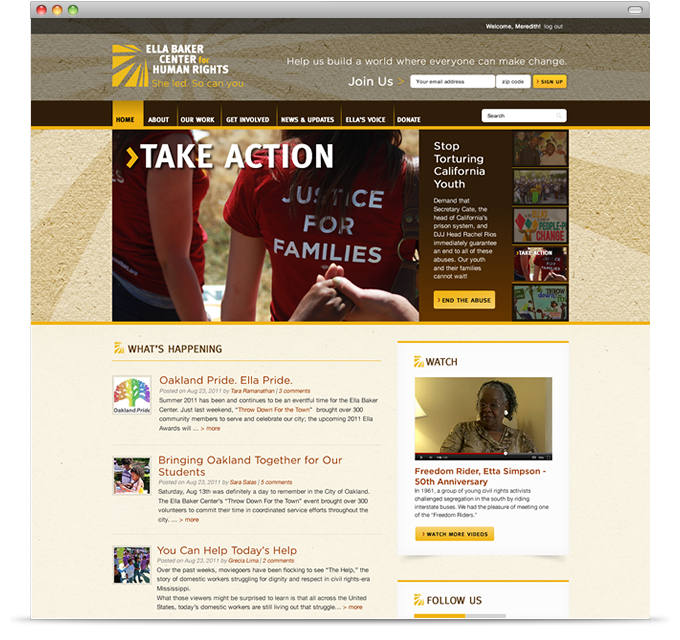 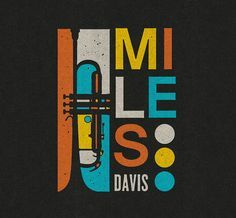 They’re the kind of organization I feel very proud to have worked with, and whose mission I want to help succeed with my design work.